Unit banking has one office. It refers to a bank that is a single, usually small bank that provides financial services to its local community. It is a system of banking wherein a bank operates in a limited area, does not open any branches in other places and is more responsive to local needs. Generally, limited banking services are offered to customers by unit banking organization. Although unit banking organization has one banking office, it can spread cash counters in market place such as walk-in windows, automated teller machines, retail store point-of-sale terminals that are linked to the bank’s computer system. Unit banking is the oldest kind of banking organization most common in the world banking today. One reason for the comparatively large number of unit banks is the rapid formation of new banks. It can be established easily even in an age of electronic banking and mega mergers among industry leaders. Many customers still seem to prefer small banks, which get to know their customers well and often provide personalized services. Most new banks start out as unit organization, because their capital, management and staffs are severely limited until the bank can grow and attract additional resources and professional staff. Later, they try to convert them into branch banking organization. However, economic and legal barriers to banks expanding geographically into new territory still exist in some places. Yet, most banks desire to create multiple service facilities-branch offices, electronic networks, and other service outlets. In competitive banking market, it is essential to open new markets and diversify geographically in order to lower risk and cost of banking services. If the surrounding economy weakens and people move away to other market areas, it becomes very risky in relying on a single office location, from which to receive customers and income. The unit banking enjoys the following advantages. No Problem of Mismanagement: Each bank is small scale unit hence there is no problem of management and supervision. A unit bank secures all the advantages of small scale operaions and hence there are less chances of mismanagement or incompetent management. No delay in Taking Decisions: In unit banking system every bank is an independent unit, hence there will be no delay in taking decisions. Personal Contact with the Customers: Unit Banking system being a small scale independent unit can maintain good personal contacts with the customers for efficient management of the bank. 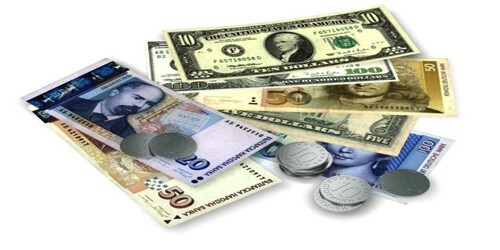 Low Overhead Cost: In case of unit banking system the over head cost will be low than in case of branch banking system. No Concentration of Monopoly Power: With the help of unit banking system it is possible to create socialistic pattern of society which is a policy of Indian Government. Promotes Regional Balance: Under unit banking system, there is no transfer of resources from rural and backward areas to the big industrial and commercial centers. This tends to reduce regional imbalance. Initiative in Bank Business: The bank officers, under the unit banking system, are fully acquainted with the local problems. SO they can take initiative in taking important decisions on the various issues confronting the bank. Generally speaking the advantages of Branch banking are the disadvantages of Unit Banking. Following are the important disadvantages of Unit Banking System. Lack of Economies of Large Scale: Unit banking system being operated on small scale, is deprived of economies of large scale operations. More Case Reserve: When compared to branch banking system, the banks operating under unit banking system must have more case reserve. In unit banking system it is not easy to a unit bank to draw on another unit bank. High Cost of Operations: In case of Branch banking system the remittance of funds from one place to another is of great ease and at a lower cost than unit bank. High Risk bearing: In case of unit banking system, the business is highly localized and any adverse conditions in business in the area severely effect the bank. Lack of Mobility of Funds: In case of unit banking system the concentration of funds is at one region. There is no possibility of movement of funds between the regions and localities resulting in different interest rates at different places. Does not Provide Complete Banking Service: The bank operating under unit banking system does not provide complete banking service to its customers as done in case of Branch banking system. Problem of Supervision by Central Bank: It becomes very difficult to supervise each and every bank operating under unit banking system.